What does TerraMine mod do? TerraMine Mod adds more than 200 new things from Terraria to Minecraft without losing the style of minecraft. In TerraMine you will find 8 new ores from Terraria, some some are stronger, some are more resistant and some have special abilities. 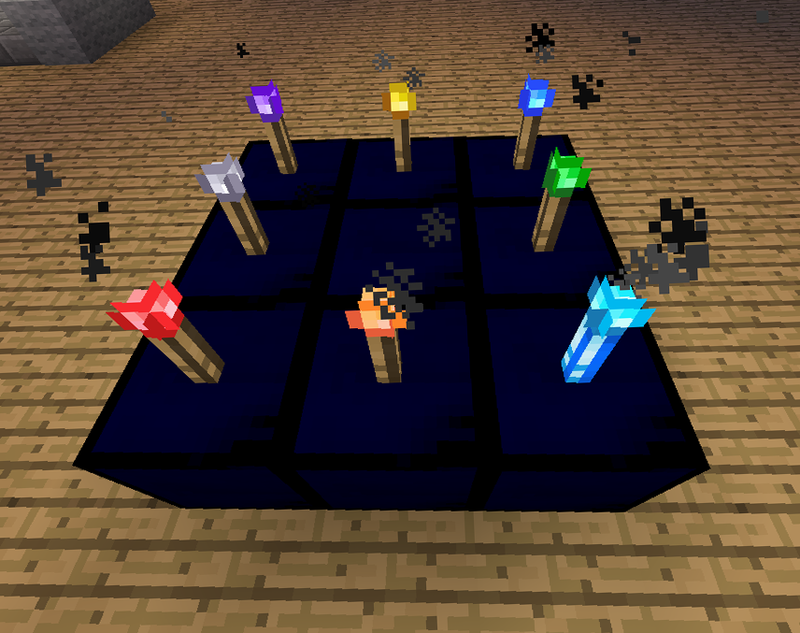 All these blocks can craft with 9 ingots of each material. Some blocks are very expensive to craft. You can find this blocks in the 3 new biomes: Corruption, Hallow and Crimson. These blocks expand to other blocks that are touching around them. These new torches act exactly like the normal, are special to decorate. TerraMine includes 158 new items. Some of them were created by me and have special abilities. Other items act almost equal to those of Terraria. 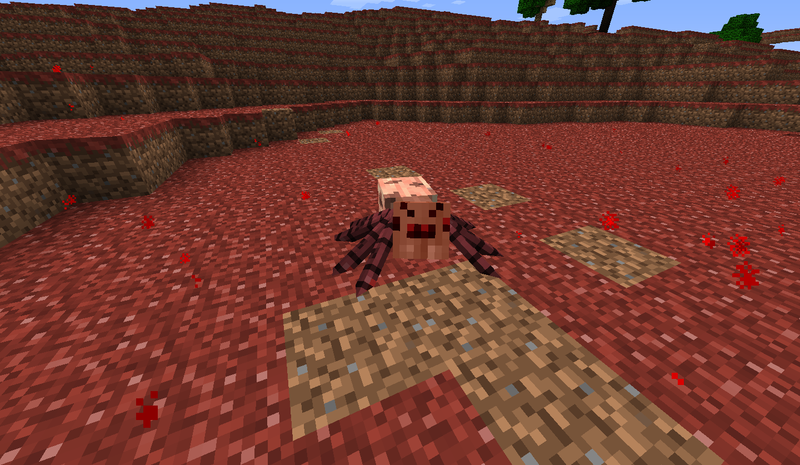 This new spider acts the same as the normal, is stronger and has more health. Don’t makes living sounds (like the creeper). 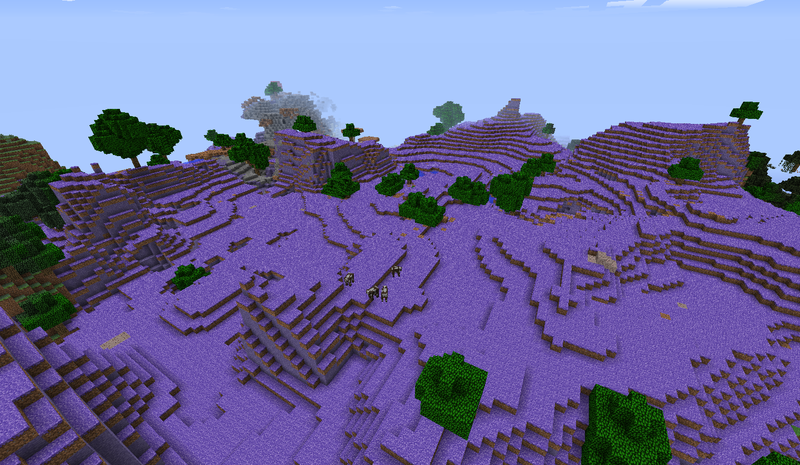 Attacks during the day and only spawns in the Crimson. Spawn at night and it does not hurt (yet). It burns during the day. It is necessary to get the Lens. 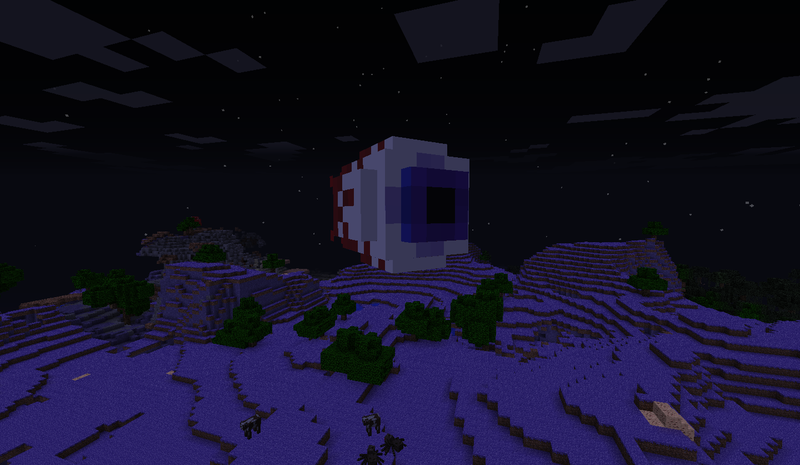 It’s the first boss of Terraria, is also the easiest to kill. 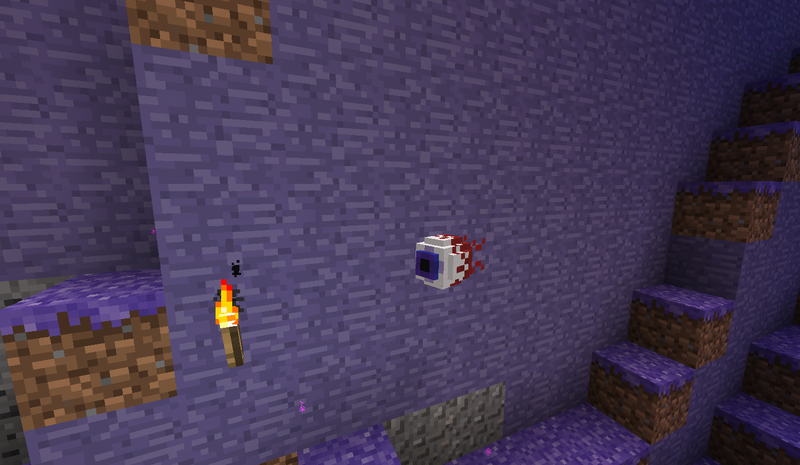 It is invoked with the Suspicious Looking Eye. Can only be invoked at the night. 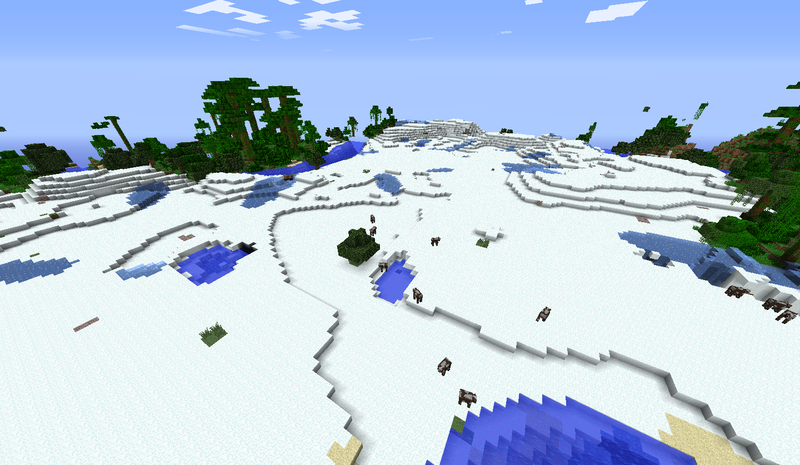 The first 3 biomes have no difference (yet) except the Crimsonbecause the Blood Crawler spawn there. 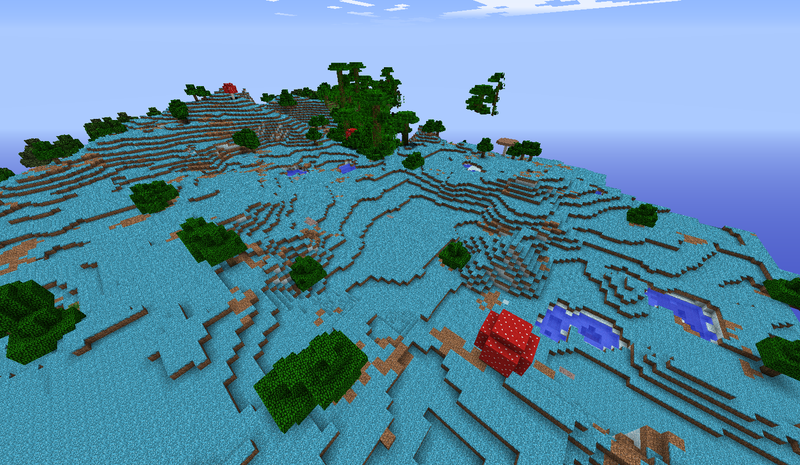 These three biomes expand around, so be careful where you build.